UK Flavour Ltd is a Flavour Manufacturing company, specialising in the development, production and supply of Flavours and E-Liquids, to the consumer directly, and also supplying E-Liquids, Flavours, and its components separately to E-Liquid chains and shops around the UK. 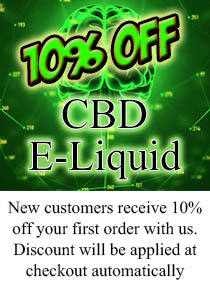 The company has grown vastly since it began in 2003 branching out alongside the E-Liquid industry in 2012, and the rise in demand for E-Cigarettes not only from a retail aspect but also as a replacement therapy for cigarettes has prompted the need for the industry to be regulated and monitored accordingly. At UK Flavour Ltd we create a product that meets all the standards required to enable it to be used safely by consumers. We pride ourselves on being one step ahead! New to UK Flavour is our CBD. We create not only CBD E-Liquid, but we supply the Crystals, and also the Terpenes infused variants. For wholesale opportunities, please email sales@ukflavour.com and request a wholesale account today.